Richard Madeley and Judy Finnigan live near Looe. 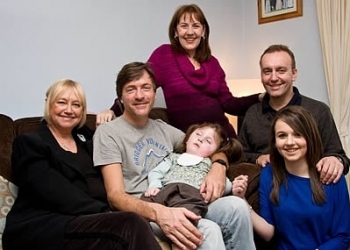 Julie popped a note through their door inviting them to help Ellie's Haven. Initially, they responded by donating an object for a charity auction, but that was just the beginning. Since then, they've quietly provided a lot of support. Dr Carolyn Adcock and Dr Alan Cade are consultant paediatricians at Derriford Hospital, Plymouth. Please check out our Supporters section to get an idea of the thousands of people and scores of organisations supporting our plans. 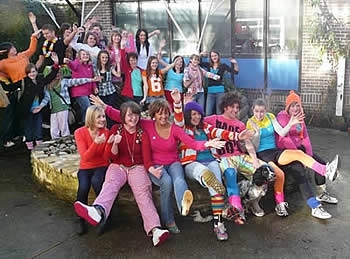 Saltash Community College (pictured) is one of more than a dozen schools raising funds for Ellie's Haven. Julie is co-founder of Ellie's Haven and runs a florist business in her home town of Looe. Julie has considerable experience caring for two life-limited children. Sandi started her nursing career in the acute sector of the NHS in various roles, specialties including Intensive Care, Coronary Care, Head Injury Rehabilitation and Acute Surgery. Following her marriage to a military musician she moved to Germany and worked within the Primary and Community Care arena for the Armed Forces in Germany. Whilst living in Germany Sandi met Julie and a lifetime’s friendship was formed. Sandi and her husband Stib are Ellie’s godparents and consider themselves honorary ‘Libby’ family members. Sandi returned to the UK following her husband’s retirement from the Forces and became Head of Clinical Governance in the North of England for an independent Primary Care provider. Sandi is also a Clinical Reviewer for Deaths in Custody and works closely with the Prison’s and Probation Ombudsman in this role. Sandi has been involved in organisational audit since November 1996 and has undertaken numerous audits as a surveyor, survey and project manager. After 32 years of working continuously in the healthcare sector, Sandi has recently had a career break but is now returning to work in the North of England. 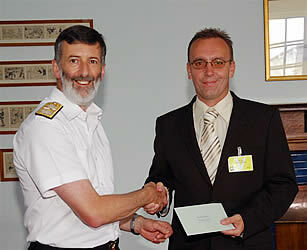 Peter Heywood is a retired journalist and Internet entrepreneur who lives in Looe. Since 2008 he's helped Ellie's Haven develop its marketing strategy, notably in researching and writing its business plan and leading the redesign of its website. He's a member of the team of professionals working on turning the Ellie's Haven vision into a reality. He has prior experience as a trustee of Intelligent Giving, a website he co-founded that helps donors pick charities that will deliver value for money. Janice runs and manages a dairy farm in partnership with her husband. She also cares for her son who has muscular dystrophy..
Andy worked in stockbroking and banking settlements for most of his career before joining a major global bank where he set up and ran specialist customer service teams dealing with their top corporate clients. He took early retirement and came to Cornwall with his wife to look after his elderly father. Andy was a keen sportsman, particularly rugby, but now confines himself to just watching the game and to playing poker - badly!